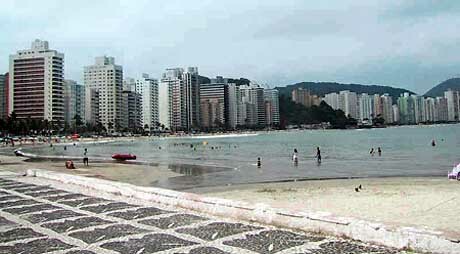 A resort beach with all the services of a large city; with has shopping, supermarket, bars, restaurant and agitated nigh life. The best beaches are Praia da Enseada and Pernambuco. The deserted beaches are located to the north, and some have condominiums and some have only access by foot or boat. It has a bike lane at the edge of Praia da Enseada, and another one connecting the beaches of Tombo and Guaiúba. But the comfort and the easy access to the city bring some problems. During summer, the large number of visitors causes water shortage and traffic congestions. It has security problems it is located at 89 km from São Paulo.